Is there such a thing as cheap good quality headphones? Well today I’m going to look at a pair of Bluedio H Turbine Bluetooth headphones and these run about $30 which is quite an affordable price. These headphones look really nice just straight out of the box. And they come in white and black. The typical controls like volume, power and playback controls are found on the right earcup along with the USB charging port. On the left side is the 3.5mm port for the optional aux cable. The design of the headphones is really nice. I like embossed text on the earcups and the little notches around the center. They did a good job clearly marking the Left and Right sides so they’re easily distinguished. When I first picked them up I was surprised they feel so light-weight and the plastic has a lower quality feel to it. It was something wasn’t expecting. But the top headband is nicely padded with breathable holes on the underside and it’s also padded up on top too. The earcups are nicely padded and have that leather look to them. These fit over the ear and the padding actually feels really comfortable. I can probably wear these for a longer period of time without my ears aching like on other headphones I’ve tried. 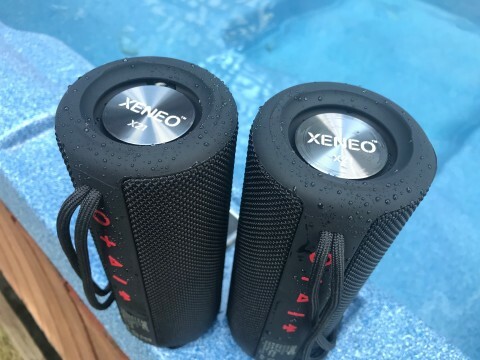 And connecting these to an iPhone or other smartphone is really easy. I was really surprised at how good these sound for a pair of $30 headphones. There’s definitely a full range of sound from highs to lows. The bass response is really good too. The bass is not as tight as other headphones I’ve used but if you’re looking for a set of headphones with decent bass, you’ll definitely find that with the Bluedio Turbine. For music listening it was really clear and I feel like I’m getting a nice full range of sound. So if you have a small budget for headphones give the Bluedio HT H Turbine a try. 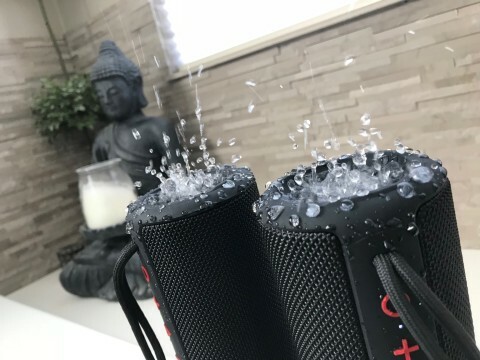 You’ll definitely get great sound quality for the money! If play Xbox you know how many batteries you can go through. And when you don’t have any fresh batteries around you might be taking a last minute trip to the store to stock up on AAs. But Fosmon has a great solution for rechargeable batteries. Please a take a look at my review video! 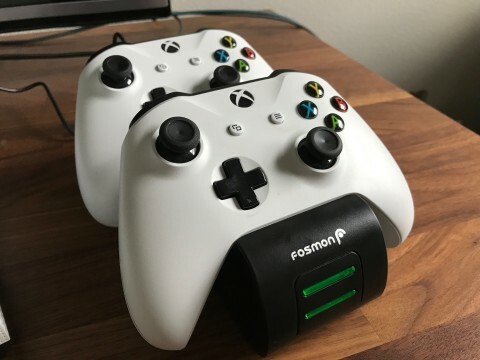 The Fosmon Xbox One Controller Charger and Batteries come with a charging station and two 800 mAh battery packs. The charging station is a dock with dual slots and provides high-speed charging of two controllers at once. The Drocon Blue Bugs 3 brushless motor drone is an affordable alternative to the much more expensive DJI quadcopters. 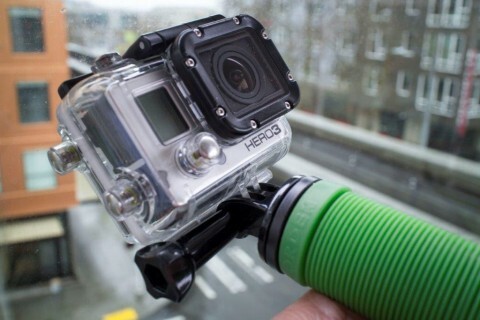 The Blue Bugs 3 can support GoPro and other action cameras. The brushless motors provide more power, longer running times and more accurate flight control than conventional electric motors. 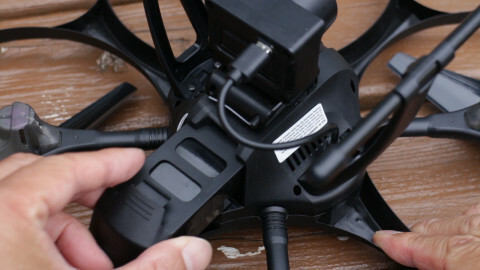 The Blue Bugs 3 is packaged with a camera mount but it does not include a camera. Only certain GoPros and other action cameras will fit with the included mount. I’m using this with the DBPower SJ4000 action camera. The Drocon Traveler U818A Plus drone is packed with features that make this an ideal drone for experts and beginners! 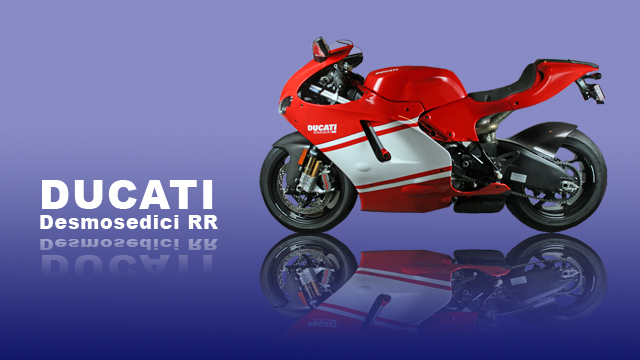 Out of the box, it requires very little assembly. Just attach the landing gear and camera and it’s ready to go. 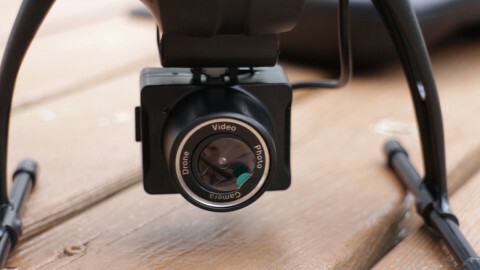 The on-board camera can shoot 720P HD video and is also used for FPV flight. 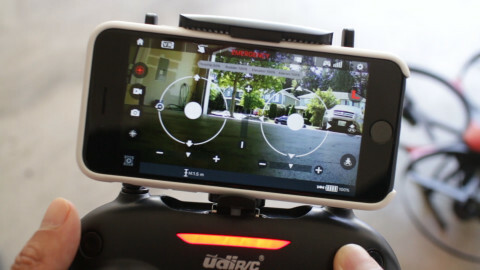 FPV viewing is achieved through a WiFi connection with a smartphone. 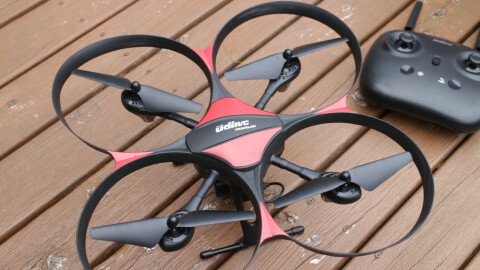 In the package, there is also a 4GB micro SD card included so you can start recording with the Drocon drone right away! The battery lets you fly for up to 15 minutes which is about 2 to 3 times longer than you get with other drones of this size. The remote is simple with one button take-off plus headless mode button so you don’t have to worry about directional orientation when flying. At the top of the remote, there’s a slide out phone mount bracket. This mount holds phones securely and allows you to see the view from the drone’s camera on your screen. 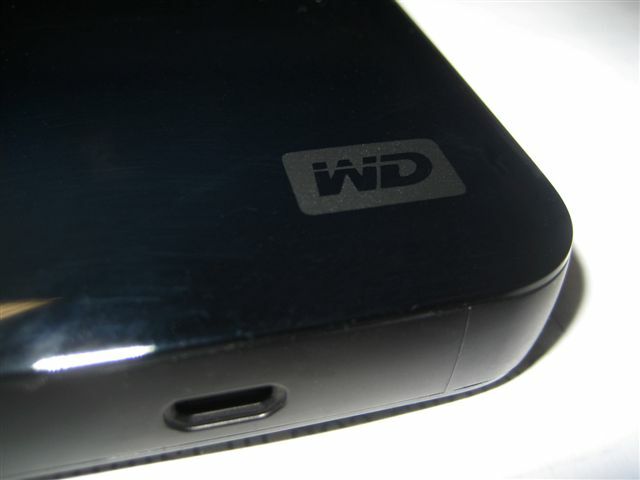 Connecting the Drocon Traveler to your smartphone is easy with its built-in WiFi network. With the drone powered on, find the drone’s hub in your Wifi settings. Once connected, you’ll be able to use FPV or First Person View on your smartphone. Please see my video review to see all the cool features of this drone! Another cool thing you can do is view the recorded video from the drone’s SD card right on your phone without a computer! This is really hand when you’re out in the field. Your phone can also double as a remote control and for an immersive flying experience, you can activate VR mode and use VR goggles during your flight and fly from the perspective from the front of the drone. Just use your favorite VR goggles with your phone! 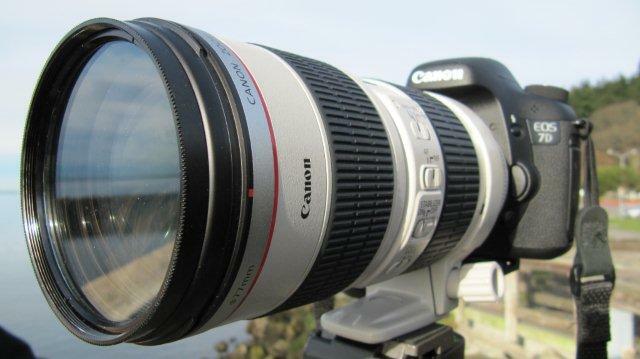 The camera has a 120 degree lens and shoots in 720P HD video. The quality is pretty good but not like that of a GoPro. However, you can get video from amazing angles during flight using your phone to start and stop the recording. 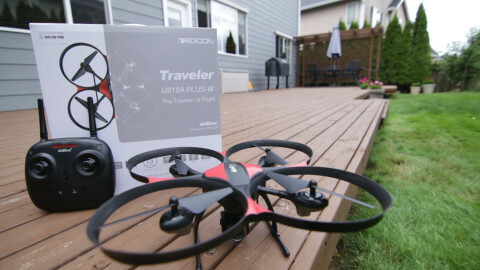 The Drocon Traveler is an affordable and easy to fly drone. However, don’t fly in enclosed areas like I did. I crashed the drone about 40 feet up in a tree but luckily I was able to fish it out with a really long pole! Now I’m able to fly it again on another day! Whew! Camera sliders add an extra dimension to your shots. 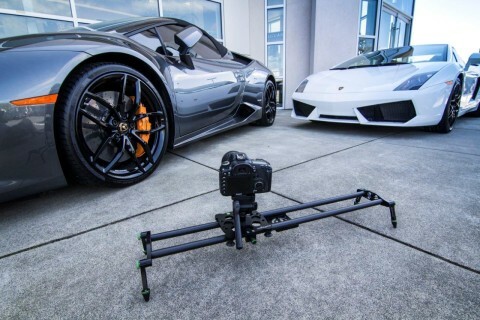 And this carbon fiber slider from Imorden is a handy tool that can help you create cinematic shots. I mainly shoot product videos for my YouTube channel and it helps me stand out from other product reviewers with my moving shots. The tracks on the Imorden sliders are made of light-weight carbon fiber tubing and are very smooth. The ends have adjustable legs that can be pivoted and the feet are also adjustable for uneven surfaces. 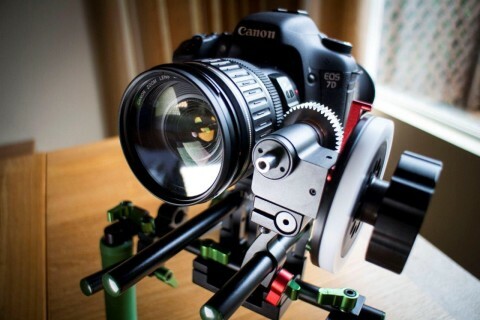 There’s a quarter-inch screw on the dolly to attach a tripod head for your camera. 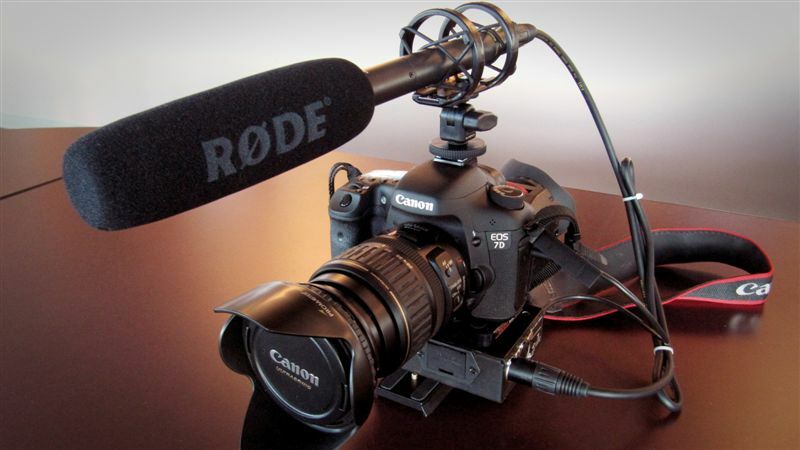 The dolly is quite large and offers several mounting holes for accessories including quarter-inch and 3/8” inch. Movement of the dolly is incredibly smooth even with heavier cameras. But the actual smoothness in your shot depends on how steady your hand is when sliding. 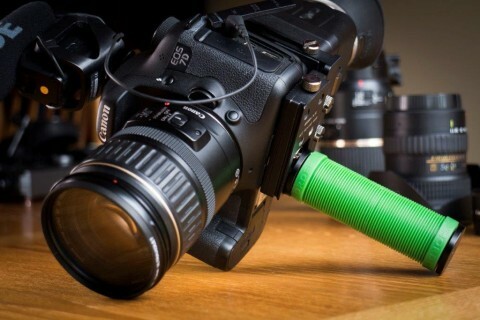 Using a hand grip with your camera can dramatically improve the way you shoot hand held video. Hand grips are usually simple devices and the Imorden Hand Grip for DSLRs, GoPros and smartphones offers your wrist a break when getting your shots. Using a hand grip eases the tension on your wrist by allowing it to be in a more natural position when holding the camera in front of you. The Imorden Hand Grip is made completely out of metal and covered in a soft rubber grip that won’t slip. It’s very comfortable to the touch but because it’s made of metal, the Imorden grip is a bit heavier than others that are made of plastic. Check out my video review of the Imorden Hand Grip below. 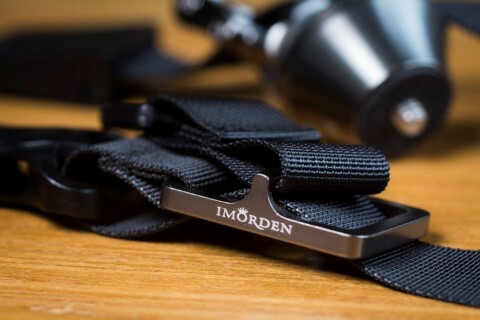 Imorden has an entire line of affordable camera accessories that are high quality and useful for video makers. 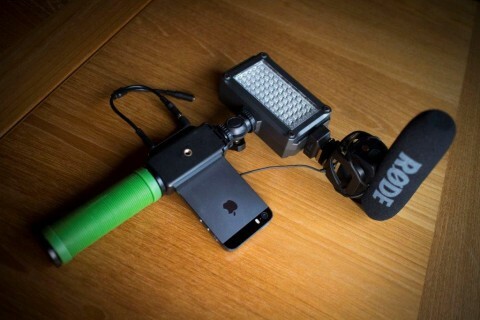 And they continue to develop new products to help video producers. I’ve used the grip on many different types of cameras and I’m surprised just how much better it is using this while shooting. It’s even better on a DSLR if I use a viewfinder on it too. The Imorden Hand Grip is small enough that you can carry it with you at all times in your bag. When you’re in a run-and-gun situation, it’s easy to screw the grip on and start shooting. 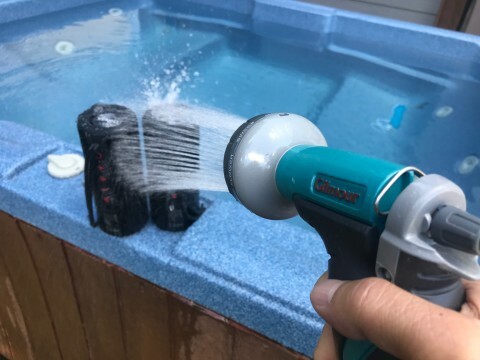 So far I have been very impressed with the types of products they have. I really feel like Tony Stark with this easy to make Arc Reactor that won’t break your budget! It’s not meant to be pretty looking but it looks good when glowing under your shirt. My DIY Arc Reactor is powered by AA batteries and a string of micro LED lights so it won’t get hot against your chest. And it’s super thin! I don’t really like costume parties but the Arc Reactor is impressive and it’s virtually unnoticeable when the LEDs are powered off. The main part of the Arc Reactor is made of CDs or DVDs. I used a regular sized DVD and a mini-CD-R disc. Also, we will need the clear filler disc found at the bottom of every stack of blank discs. The only thing you need to buy are the micro LED lights. This project uses a small string of 20 lights. You can use whatever color you want but the Blue LED lights are more authentic looking when building your Arc Reactor. You may even need to purchase some of the mini-CD-R discs if you don’t have any around.